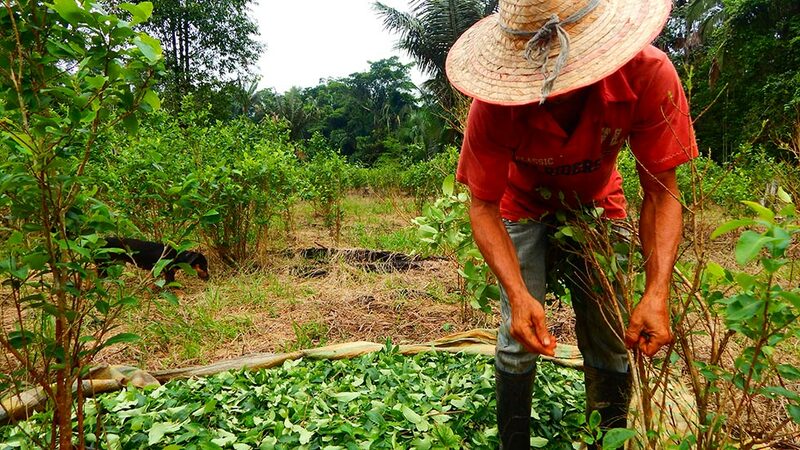 The United States’ soon-to-be-released official 2016 report on coca cultivation in Colombia reveals that cultivation of the illicit crop in Colombia has gone up 38% since the start of the $10 billion counter-narcotics strategy “Plan Colombia” in 2000. The report’s numbers, confirmed by Colombian Defense Minister Luis Carlos Villegas on Tuesday, also project an annual production of 700 tons of pure production of cocaine, a 32% increase since the beginning of the stepped-up US assistance. The new figures, which continue the upward trend the country has witnessed since 2013, provide the most damning evidence to date of the failures of US-backed hard-line counter-narcotics policies in Colombia. The Plan Colombia assistance package, conceived in 1999, with funding approved the following year, had as its two primary objectives to reduce production and trafficking of illegal drugs (primarily cocaine) by 50% within six years, and to improve security conditions in the country by reasserting control in territory controlled by illegal armed groups. Despite the over $600 million a year in US assistance, by 2006 coca cultivation had increased by 15% and pure production of cocaine had gone up by 4%, according to a 2008 report conducted by the United States’ Government Accountability Office. Yet, the US and Colombia pushed ahead with their follow-on Plan Colombia Consolidation Phase (PCCP), continuing many of the same, failing anti-drug policies for the period 2007-2013. The chief tactic employed to weather the production of coca was the aerial spraying of fields of the illicit crop using Round Up, an indiscriminate pesticide containing the Monsanto-produced chemical, glyphosate, that kills almost any plant it touches. As the chart below demonstrates, levels of coca cultivation fluctuate since 2000, clearly independent of the aerial spraying practice undertaken. In addition to its ineffectiveness, the practice of aerial fumigation left in its wake significant human and environmental damage. While the National Pesticide Information Center (NPIC) reports no links to human health problems in small doses, the concentration of glyphosate used in aerial fumigation in Colombia (44%) was reportedly five times higher than recommended by Round Up (1-7%) and almost double the maximum concentration limit (29%). Environmental consequences of glyphosate include deforestation, water pollution and effects on amphibian populations, according to a study referenced in economist Daniel Mejia’s report, Plan Colombia: An Analysis of Effectiveness and Costs. Additionally, the practice contributed to the record internal displacement in Colombia, currently totaling over 7 million victims and counting. Many coca farmers were forced to uproot themselves and their families in search of a living elsewhere, as often no viable alternative crop was introduced by the government for these farmers. The imprecise, indiscriminate spraying of crop fields furthermore affected legal crop fields, forcing the displacement of law-abiding campesinos as well. Only in 2015 was the practice discontinued by the Santos administration, after the WHO’s assessment of glyphosate’s probable link to cancer. In total, Plan Colombia bankrolled the aerial spraying of over 1.6 million hectares of coca, according to WOLA. Proponents of aerial fumigation will look at the significant increase in coca cultivation as justification for returning to the abandoned practice. This is out of the question for the current Santos administration, who in the final year of his term will stress that the peace deal’s crop substitution program backed by manual eradication has yet to really get going, says WOLA’s Adam Isacson. The fear, however, is that should coca cultivation continue to rise a year from now, a fully staffed Trump administration and a Colombia in the midst of a presidential campaign will begin to demand a serious policy shift, and perhaps a return to the aerial fumigation. “Where I think this will change is 12 months from now, if there’s another report showing a double digit percentage increase in coca…then I think the [Trump administration] will be public and they will be aggressive. That’s when I think they’ll finally have their team of officials together. [In addition], Colombia will be in the middle of a campaign where probably the right-wing candidate is doing pretty well and they will make much more noise in 2018 than in 2017,” Isacson told Colombia Reports. What the situation requires is that the Colombian government wholly commit to the peace deal’s counter-narcotics strategy and assert its presence in the former FARC-controlled zones where much of the country’s coca was being grown.